Making a Pet's Quality of Life Better Everyday! 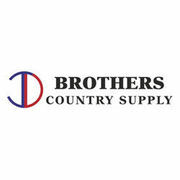 Rate and review Brothers Country Supply in Ottawa, IL, United States! Share your experiences at Brothers Country Supply with your friends or discover more Pet Stores in Ottawa, IL, United States.